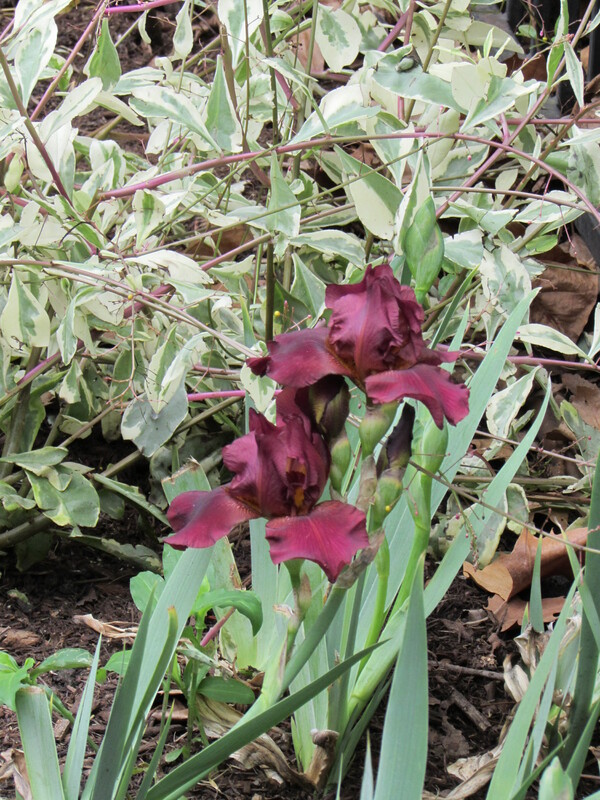 Sunday I was so grateful to my husband for pointing out that the new bearded irises we just put in the ground, as little rhizomes with chopped leaves, about 8 weeks ago, had shot up and flowered. I had been resting inside reading and fighting my way through a end of summer head cold. 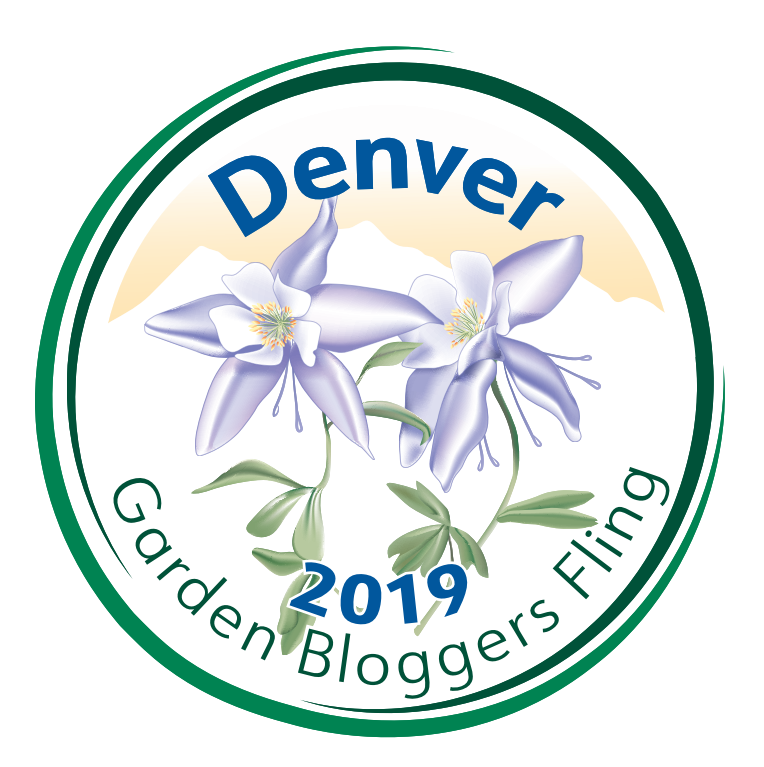 After taking some photos I realized it was just in time for Garden Bloggers’ Bloom Day which happens on the 15th of every month hosted by May Dreams Garden. If you click the link you can find many other blogs that are sharing their beautiful September blooms too. It was actually pleasant outside, in the mid-seventies, from a cool front blowing through Houston. 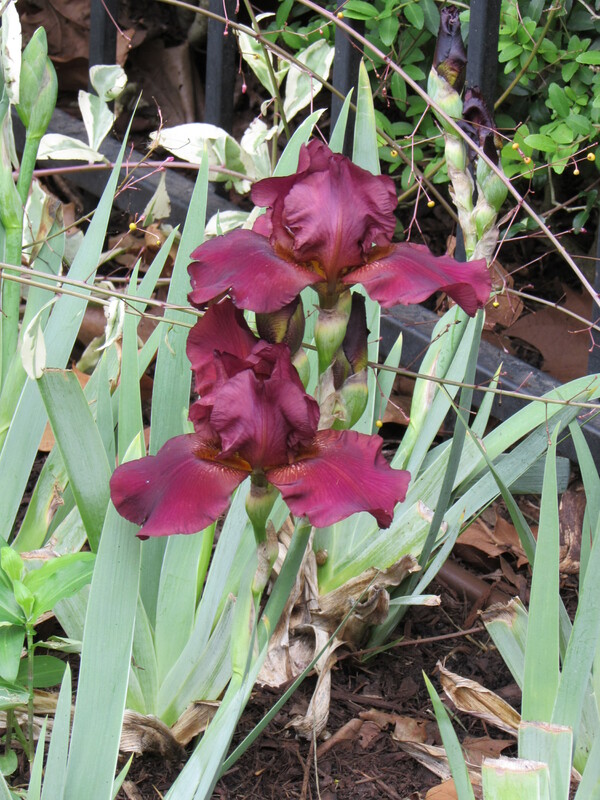 The new bearded Irises are in a bed that I am in the process of reworking. It is just inside the front fence. 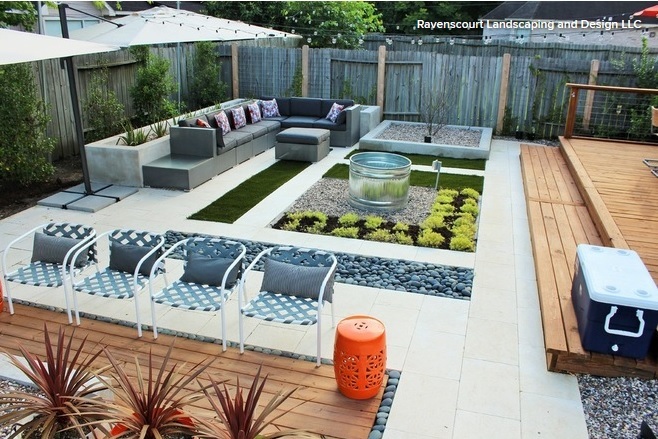 I was so inspired by all the beautiful gardens with very visually interesting plants in Portland this summer at the Garden Bloggers Fling that I had to do something new here at Ravenscourt. I love the rich burgundy color! Iridaceae germanica Bernice’s Legacy with Jewels of Opar. 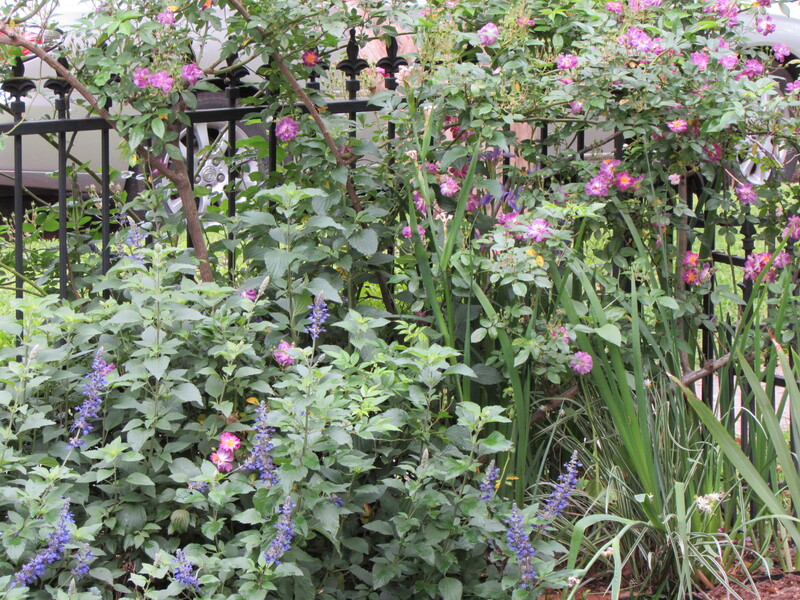 About 10 years ago when I had the wrought iron fence installed I planted roses along it. I had two big dogs, Baron and Scarlet, both rescues, both part Labradors and both no longer with us, that loved to run along the fence. The roses worked for a long time and most of them are still there. 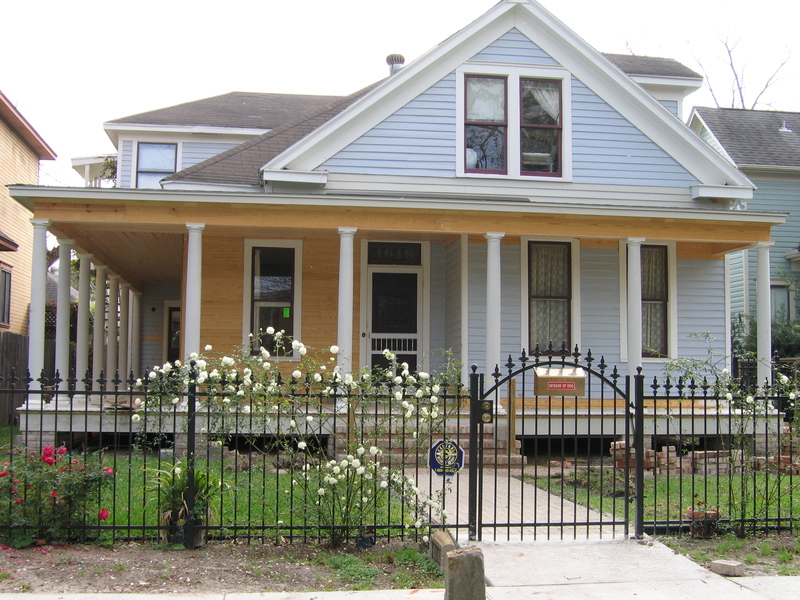 Here is an old picture (2006) with the roses and the wrought iron fence. New porch construction in background. Two years ago we decided to let the cat have the front porch and garden as her private domain and now keep the new dogs, Raven and Dylan (both rescues and both mixed breed) in the back garden. This allowed me to add perennials in a cottage garden style to the rose bed. One of the things I planted was Indigo spires. They looked great until they chocked everything else out. This summer, as I said influenced by my trip, I ripped them all out. Yes, gardeners can be ruthless. In its defense it is a great low maintenance perennial that takes hacking back very well! Now I am inspired and playing, rather randomly I must add. I added blackberry lilies which I did a previous post on, and the bearded irises, peacock lilies which were free with my order of caladiums last spring. I planted two Jewel’s of Opar, I loved the name when I saw it on the plant availability list from Treesearch Farm, so I looked it up and decided to try it. And two dwarf barberry. Everything is doing fine except the barberry. This is my second time trying it and perhaps it is just not going to work in my garden. In spring I am going to add in some Sea Holly, Eryngium planum ‘Blue Hobbit’, seeds and see if they will grow here. The research assured me this is a compact easy to grow self seeder. I have the variegated version. I love the combination of cream, green and red. 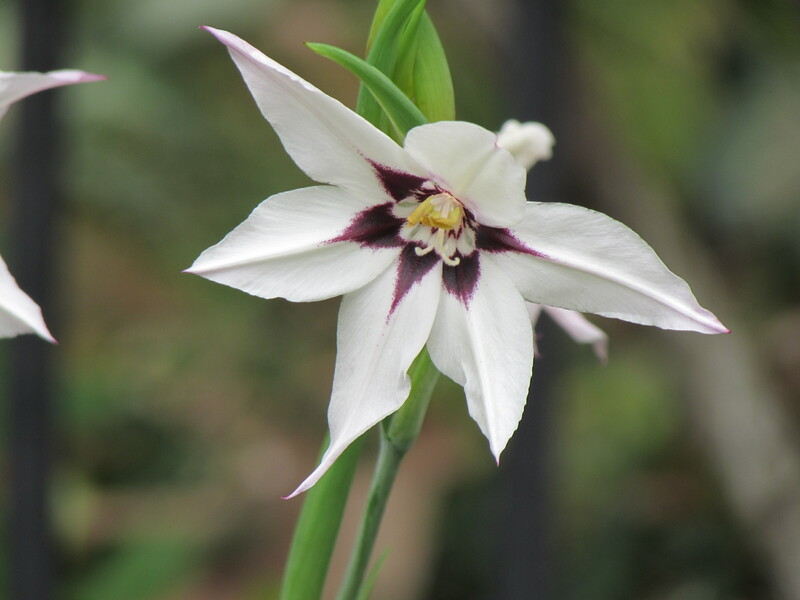 It is considered a tropical or tender perennial that does fine in zones 9 and in low water need gardens. 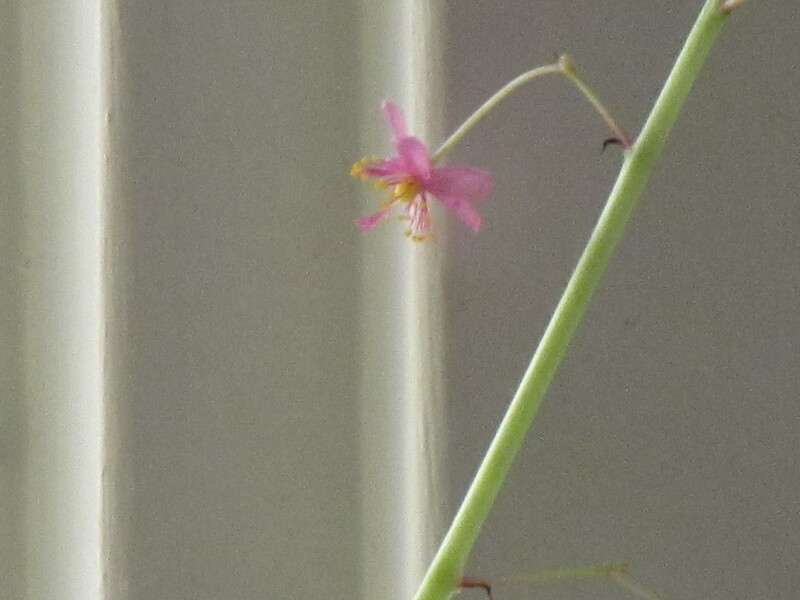 It puts up wiry reddish stems that rise above the leaves upon which very tiny pink flowers bloom. Once they have bloomed you are left with tiny yellow seed pods. In other zones it can be used as a annual. I found they carry the seeds at Botanical Interests, a great seed company that I meet at the Garden Bloggers Fling 2014. 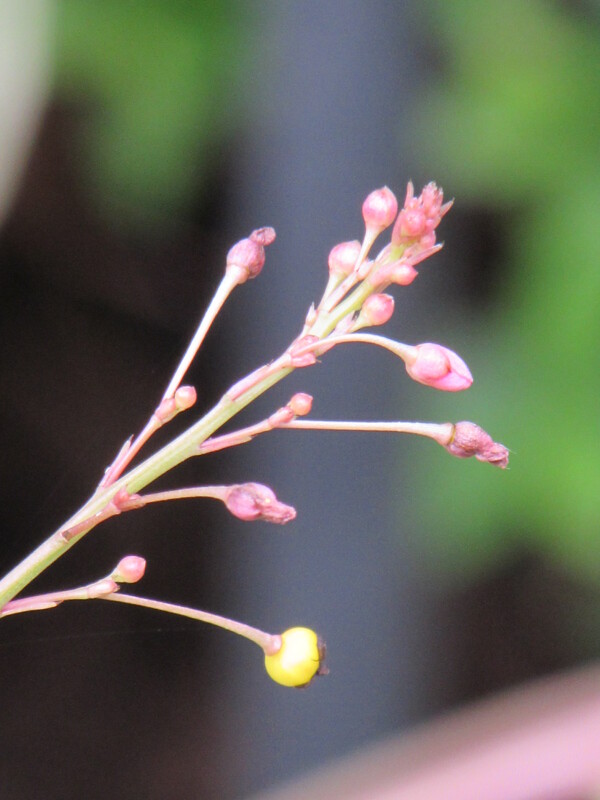 The tiny flower of a Jewel of Opar. Tiny spent flowers going to seed. Here are the Peacock orchids which I really didn’t know much about but happy to have them blooming in September. 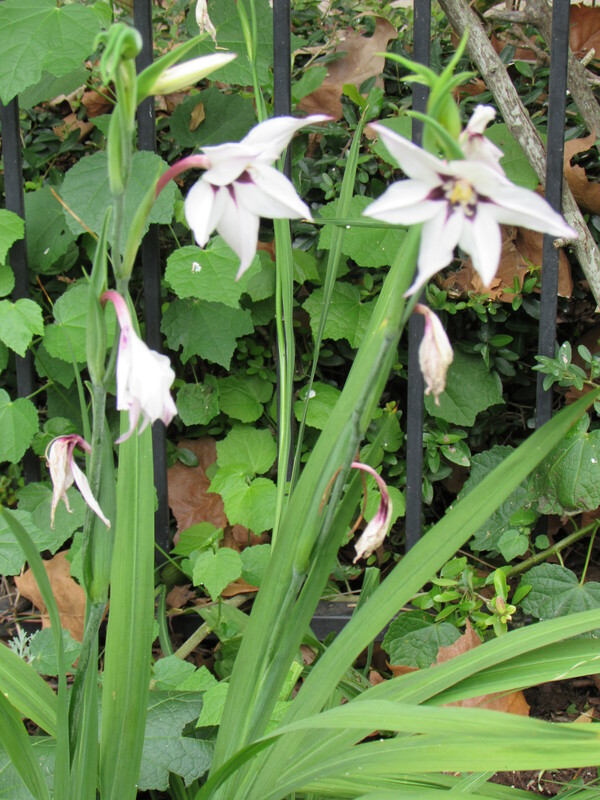 I would love to add here a nice shot of my School House Lilies…but I missed the one that bloomed…there are more so I will try and get a photo to share soon! Just wanted to say that I really enjoy your blog. It is always so nice to find your interesting articles among all the other emails. Kudos and thanks. You are right iris blooms in Sept. is great! 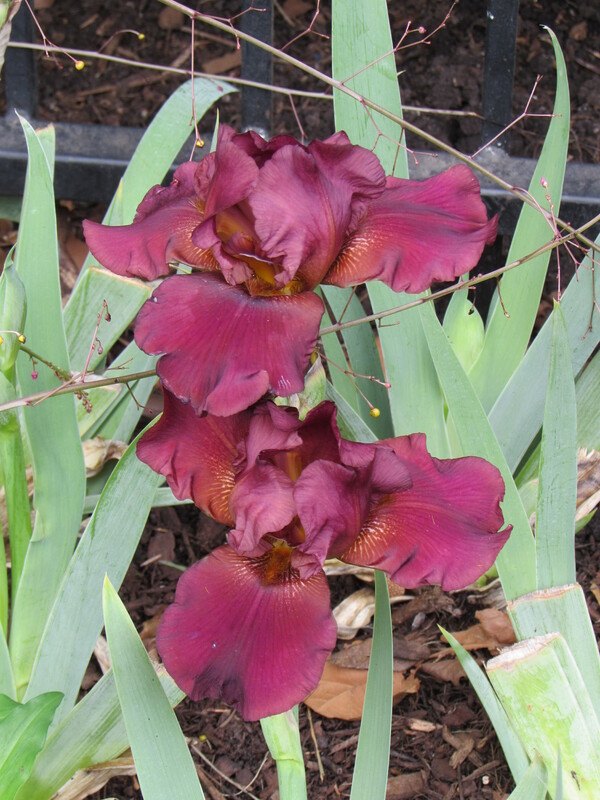 I didn’t even know there were re-blooming irises until I saw this in an email from the bulb company. Portland was just what I needed after a long spring of designing and installing other peoples gardens. I realized mine had become boring. And all those amazing gardens really stimulated my creativity. You made me smile! And yes cooler weather is a relief even if it is still humid. I just love peacock orchids. So pretty and the fragrance is divine. I think they will look great next to that gorgeous iris. I just love that colour! Iris never seem to rebloom here, what a wonderful surprise. Your Jewels of Opar have me quite baffled. I have never seen this plant before It is lovely. What is the Latin name? 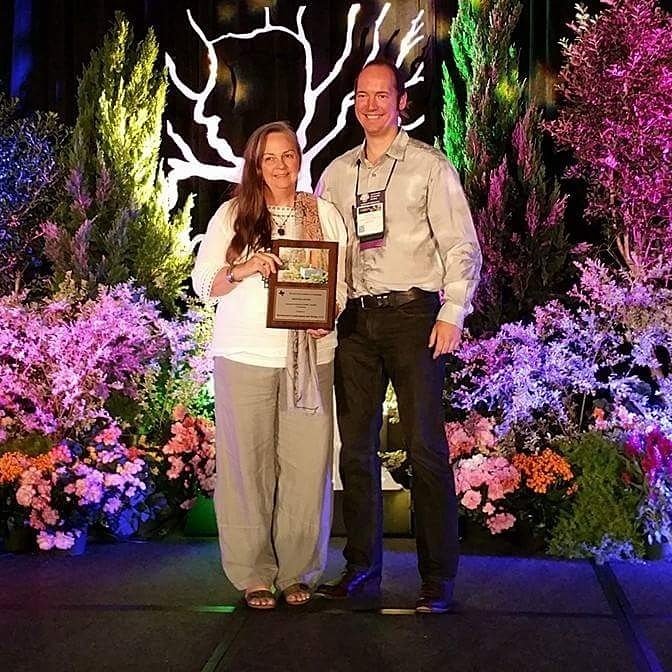 Thank you Jean : ) I hope mine bloom again next year…I wondered if they were super charge or something! I have been working on the soil in this bed and it gets all day sun until 3pm. Time will tell. How very cool that your new bearded iris is blooming. I’ve never grown Jewels of Opar but I have ‘Blue Hobbit’ Eryngium here and I love it. It is very short, however. It is cool…I hope it does again next year! I am excited to try the Blue Hobbit, short is good this is a long narrow bed. I love your garden! I never explored re-blooming bearded irises, either. I will so check those out. Thank you! In the tropics there are plenty of Jewels of Opar. 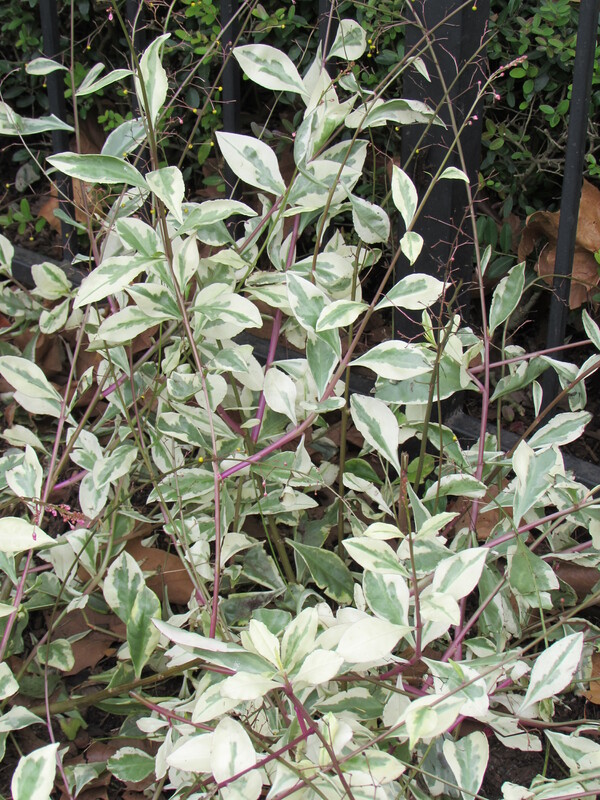 They are drought and salt tolerant, the variegated type.